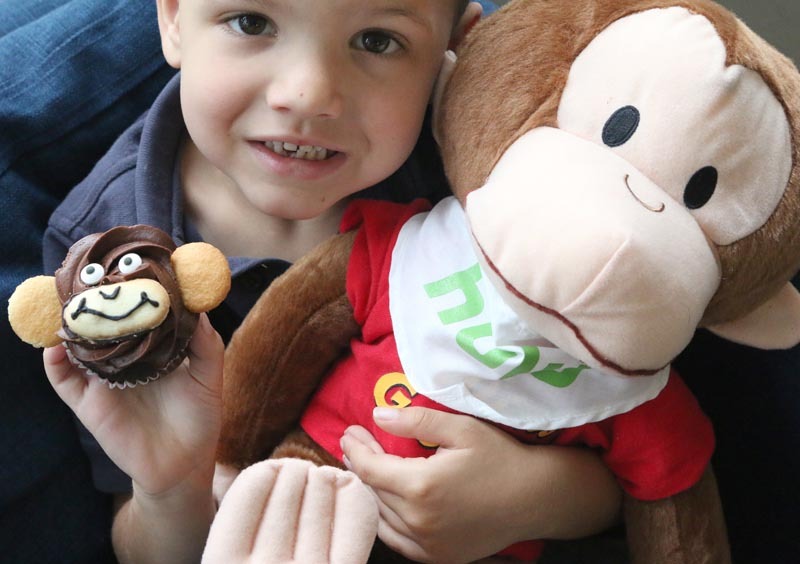 If you love this little guy as much as we do at our house, you will be excited to learn that you can watch all 9 seasons of Curious George, now streaming only on Hulu. 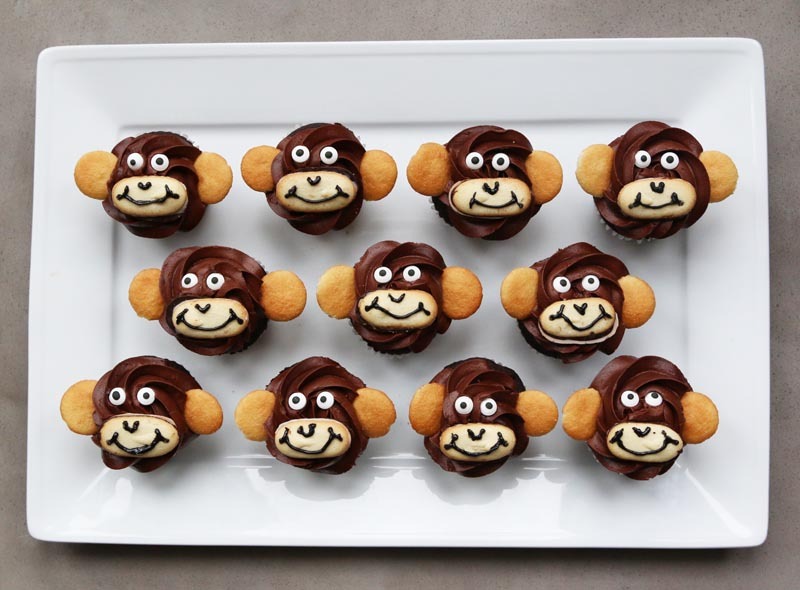 Our friends at Hulu asked us to help them celebrate by decorating these easy Monkey Cupcakes. We did it with just a few ingredients from the grocery store. Curious? (ha) Here’s how to make some at home. 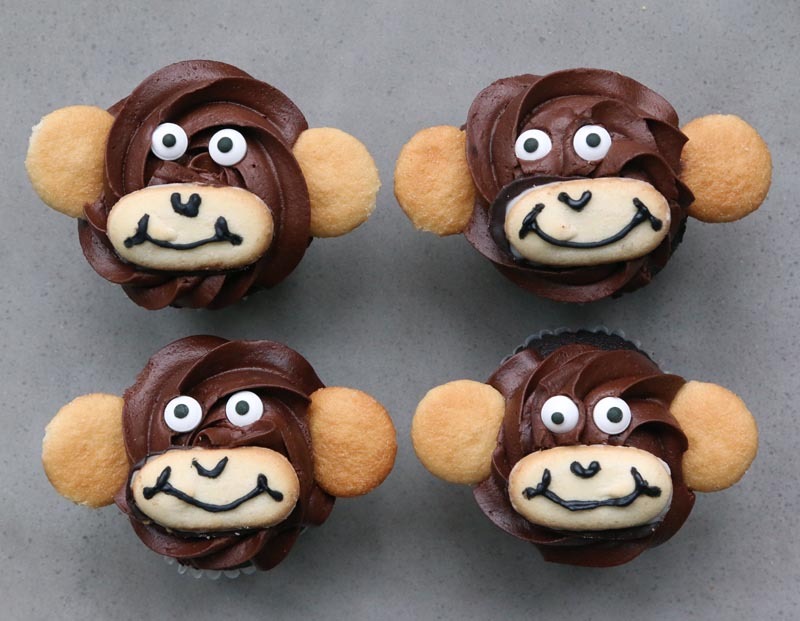 You’ll need a batch of your favorite recipe of frosted chocolate cupcakes. Today, my favorite was from the local Target Bakery. 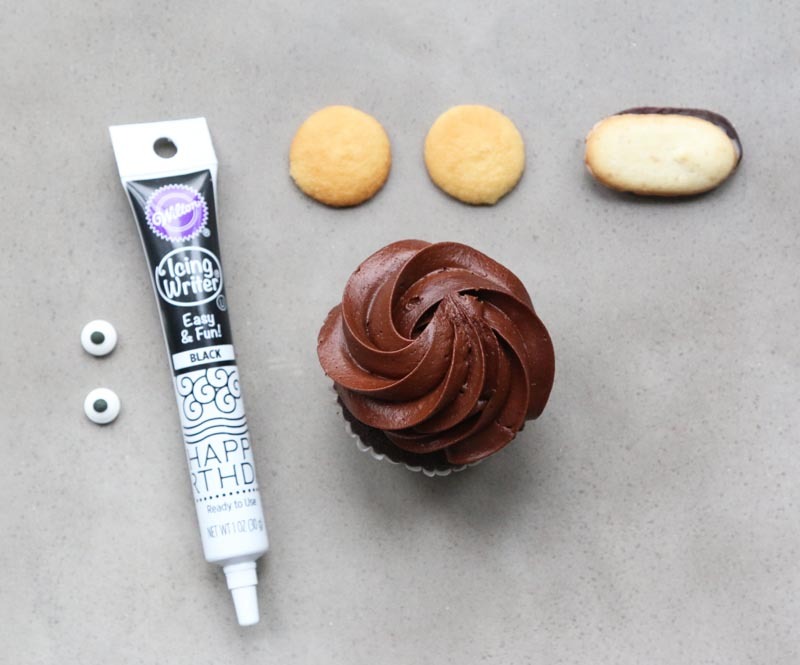 You’ll also need candy eyeballs, Black Icing Writer, Milano Minis cookies and Mini Nilla Wafer cookies. That’s it! 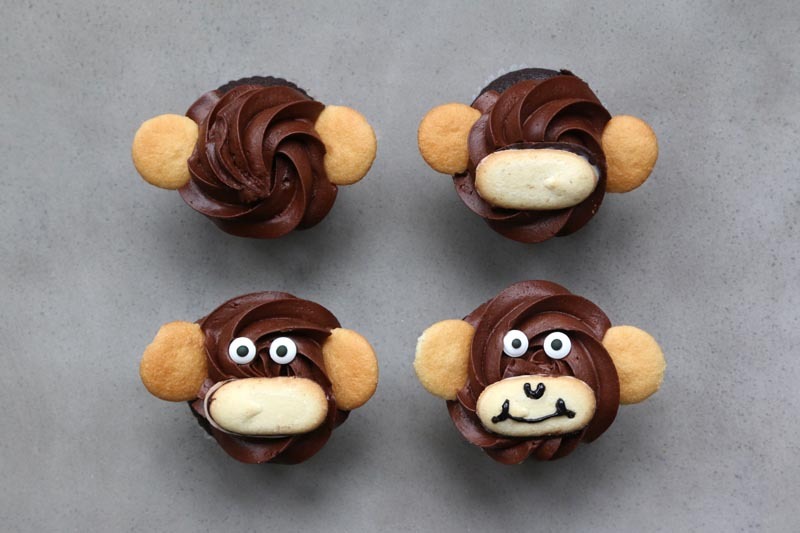 Place a Milano Minis cookie as the muzzle. Place 2 candy eyeballs as… eyeballs. 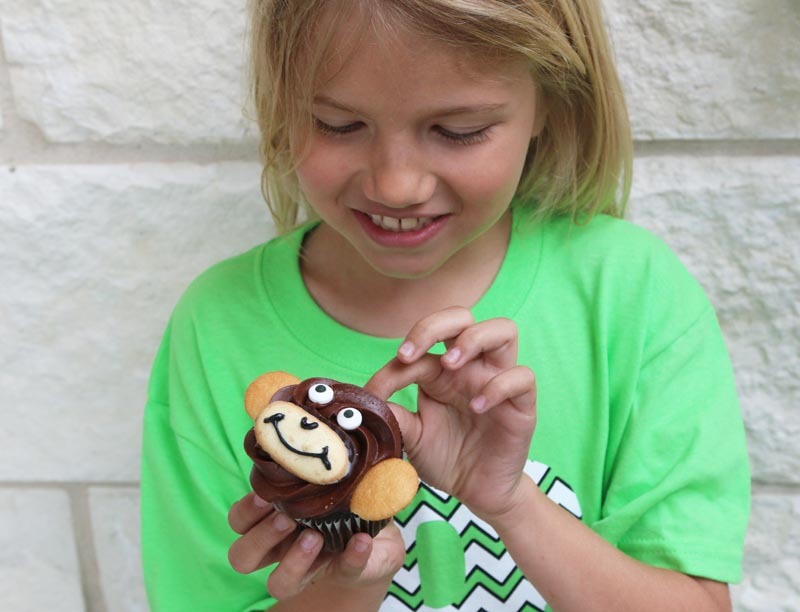 Draw the nose and mouth with the Icing Writer. 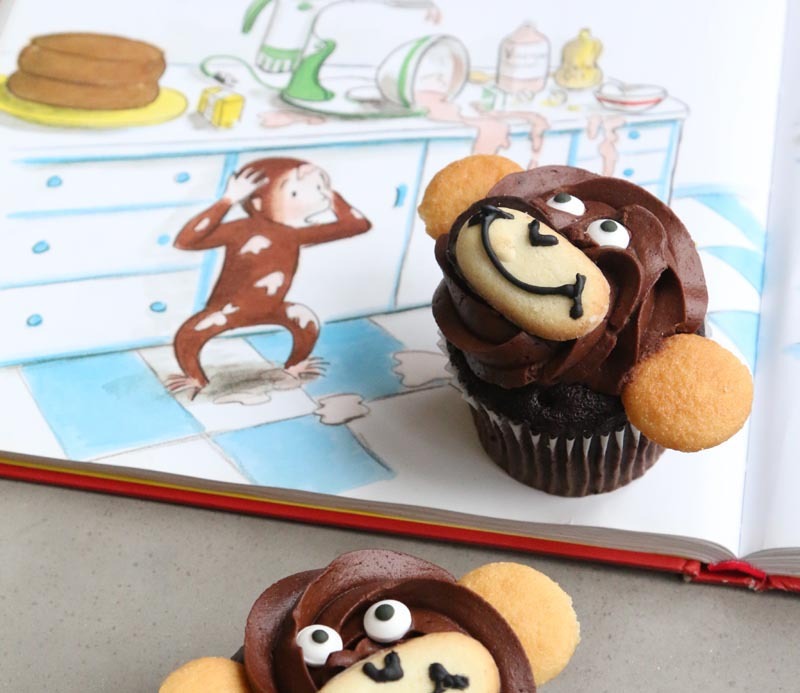 Your favorite monkey is swinging into your home. Watch all 9 seasons of Curious George, now streaming only on Hulu. 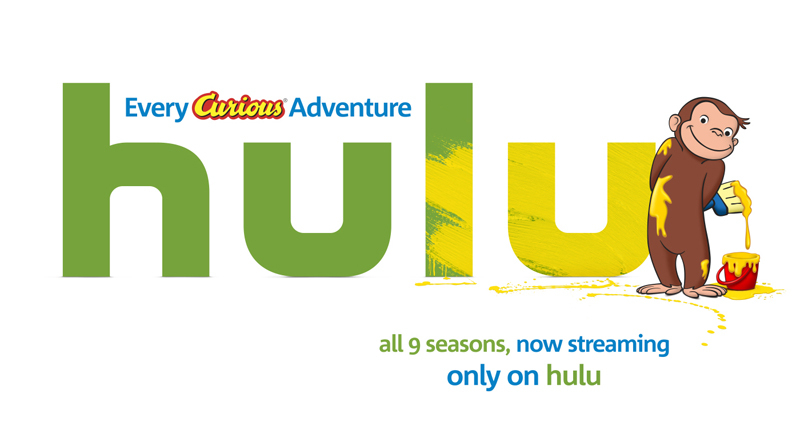 Hulu has all 9 seasons (108 episodes) of the animated TV series, as well as the animated film Curious George 2: Follow That Monkey. Hulu is THE streaming destination for the best of TV, and a great selection of films! Plus, you can stream almost anywhere, on any device, including gaming consoles, set-top boxes, tablets, mobile phones, and more. Visit Hulu.com to start a free 1-month trial, for a limited time.